Eminent Brother-Archpastors, reverend Fathers, dear Brothers and Sisters! The 20th century was a difficult time for Orthodox Christians in the lands of the Russian Empire, which became the USSR after the Great War, October Revolution, and Civil War. But the more the Church endured persecution, the brighter the lanterns of faith and piety shone in the Russian land. From the Tsar and the members of the Royal Family close to him in spirit, from archpastors and simple monastics, priests, and deacons to laypersons came forth a powerful spiritual army of the Church Militant. By 1918, the Russian Church showed two sorts of spiritual struggle [podvig] – that of martyrdom and that of confession. Thank God, today we see how the blood of many millions of the host of martyrs and confessors who turned the Russian land scarlet became the seeds of salvation for the spiritual rebirth of our people, in the Fatherland and in the Diaspora. Over my years of service to the Church, I have met various people in Europe, North and South America, Australia and New Zealand, who have emulated Archimandrite Nicholas (Gibbes), once the English tutor of Tsarevich Alexis. Witnessing the profound piety of the Royal Family, their lofty nobility and examples of spirituality, he gradually immersed himself in Orthodoxy. When World War I began, he bore witness to the ideals of charity and empathy of the Royal Family toward soldiers and their neighbors. After the Revolution, the overthrow and unprecedented mockery of the Emperor and the Royal Family, he, a foreigner, accompanied them to Tobolsk, but was not allowed to continue with them to Ekaterinburg. In 1934, in the distant city of Harbin, China, Alexei Gibbes was tonsured a monk at the hands of the missionary Archbishop Nestor (Anisimov) of Kamchatka and given the name Nicholas in honor of the Holy Hierarch Nicholas the Wonderworker and in memory of the Tsar-Martyr. 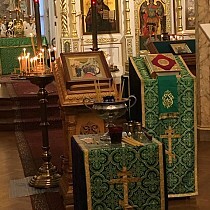 Today, many Americans, Germans, Frenchmen, Australians, and citizens of other nations approach the holy threshold of the Church of Christ, as did Archimandrite Nicholas in his day, after learning of the wondrous example of faith, patience, humility, and endurance of suffering without grumbling by Tsar-Martyr Nicholas and his whole family, comparing their lives with those of the martyrs of the ancient Church. Thank God, even among our own people, many have been inspired by the manner in which the pious Royal Passion-Bearers calmly faced imprisonment, exile, suffering, and death. One cannot help but remember the struggle of other martyrs who accepted suffering for Christ 100 years ago: the Holy Hierarchs Vladimir, Metropolitan of Kiev, whose incorrupt hand with a gesture of blessing continues to bless his murderers, and all of us who pray to him; Andronicus, Archbishop of Perm, a one-time aide to St. Nicholas of Japan, Equal-to-the-Apostles, and student of the founder of the Russian Church Abroad Metropolitan Anthony (Khrapovitsky); Basil, Archbishop of Chernigov, sent to Perm to head a commission of the All-Russian Local Council to investigate the murder of Archbishop Andronicus and earning in that city the martyr’s crown along with other members of the delegation. At almost the same time, the Bolsheviks killed St. Barlaam, archimandrite and abbot of the Perm Diocese’s Belaya Gora Convent, who enjoyed the special attention and good will of Grand Duchess Elizabeth Feodorovna and Righteous John of Kronstadt. By the mercy of God, Abbot Seraphim (Kuznetsov), former head of that convent, along with several others of his monastic brethren, was delivered from arrest and execution. Fr. 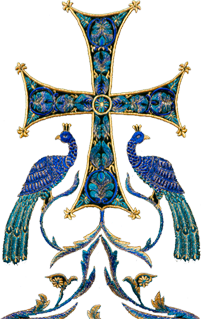 Seraphim expended great effort in transferring the relics of the Martyrs of Alapaevsk: first the princely martyrs to Peking, then the Nun-Martyrs Grand Duchess Elizabeth and Barbara to the Holy Land, where he found a final resting place himself. The Holy New Martyrs & Confessors of the Russian Church are our hope for God’s mercy. These were our ancestors, the roots which nourish us with God’s grace: without our prayerful bond with them, without preserving their memory and our active striving and emulation in our lives of their faith and patience, we have no future. That is why we should study this richest of histories, let us lovingly learn of the lives, suffering and legacy of the Holy New Martyrs & Confessors, and commune with them in prayer, as we hear in the kontakion of their feast: "that we also, whenever the hour of trial find us, may receive the gift of courage from God." Amen.